OPEN HOUSE CANCELLED FOR 4/6. Here you go! 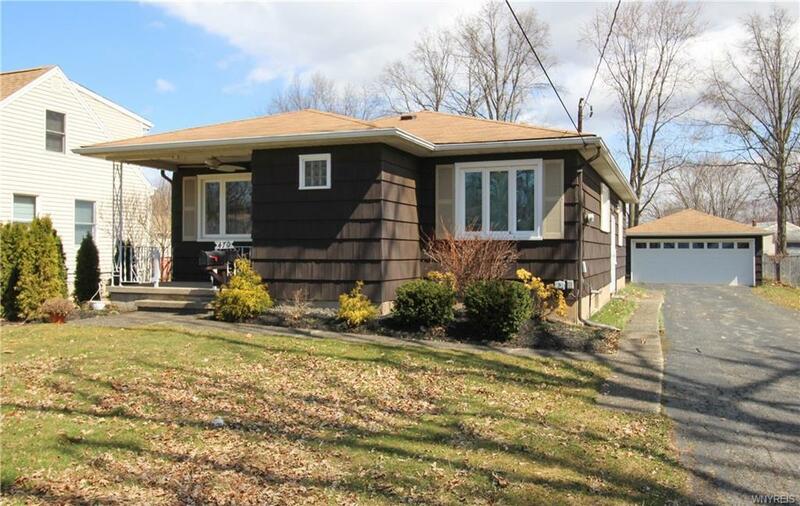 A three bedroom, move-in ready ranch in the Village of Lewiston! Great location within walking distance to shops, restaurants, festivals, and Artpark. All new windows, new carpet, and refinished hardwood floors throughout most of the house. New HWT in 2017 and newer central air. Plenty of room in the full basement to finish it off for additional living space. Large, fenced yard 60x233, with detached 2 car garage plus separate storage shed, both with electric. Enjoy peaceful evenings sitting on the covered front porch with overhead ceiling fan. Here's your opportunity to move to the highly desirable Village of Lewiston, and experience all the area has to offer! This one won't last!! Call today to schedule your showing.